Aluminum forgings are heat treated for the same purpose as steel forgings: to relieve stresses, improve mechanical properties or facilitate machining. The processes generally produce nearly uniform properties throughout the forging, and are not used for localized effects such as surface hardening. For most of the forged aluminum alloys: 6061, 6063 and 7075, most commonly used heat treatment method is T6 heat treatment. 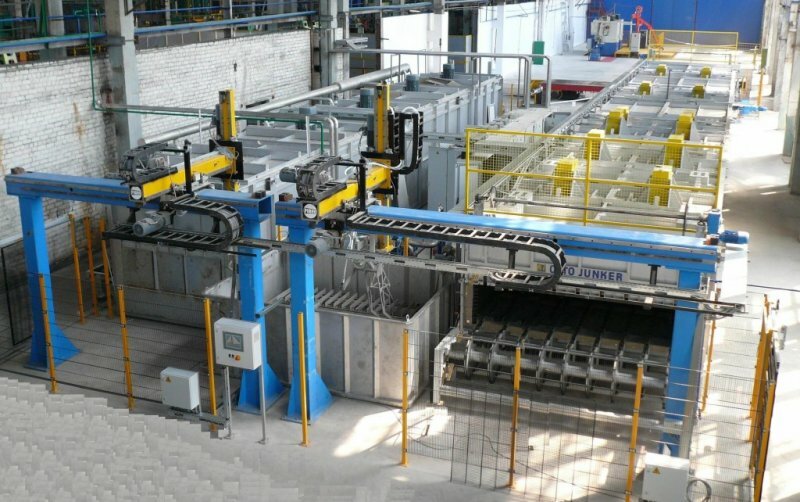 T6 heat treatment of aluminum forgings offers increase in hardness and other mechanical properties, which is often required for many applications. The T6 heat treatment represents a condition, when the microstructure of aluminium forging is solutionized, quenched and again heat treated (artificially aged). Solutionizing is the process of heating aluminum forgings to relatively high temperatures (above 500 °C) to allow the dissolution of intermetallic phases into the aluminium metal matrix. Since it is a diffusion controlled process, it depends strongly on temperature and time. The annealed state refers to the soft O temper. To allow for a good response to the artificial aging step, it is necessary to freeze in the solutionized microstructure, by quenching (rapid cooling). Because the solubility of Mg and Si in aluminium is low at room temperature, Mg2Si particles will form homogeneously throughout the metal matrix increasing the overall strength. This is called aging. If aging happens slowly, uncontrolled at room temperature it will be called T4 condition (natural aging). Aging can also happen at elevated temperatures (150–200°C) for several hours, which allows a better distribution of Mg2Si particles and therefore better strengthening. This artificial aging process refers to T6. Due to the low hardness of aluminum alloys, almost all the aluminum forgings with machining requirement will have to be T6 heat treated. Typical heat treated aluminum forgings are: aluminum forged cable lugs, aluminum forged chair components, ect. Fly Forge is the right aluminum forging company in China. Any aluminum forging item with heat treatment or machining requirement, pls email cathy.forge@cnool.net directly.